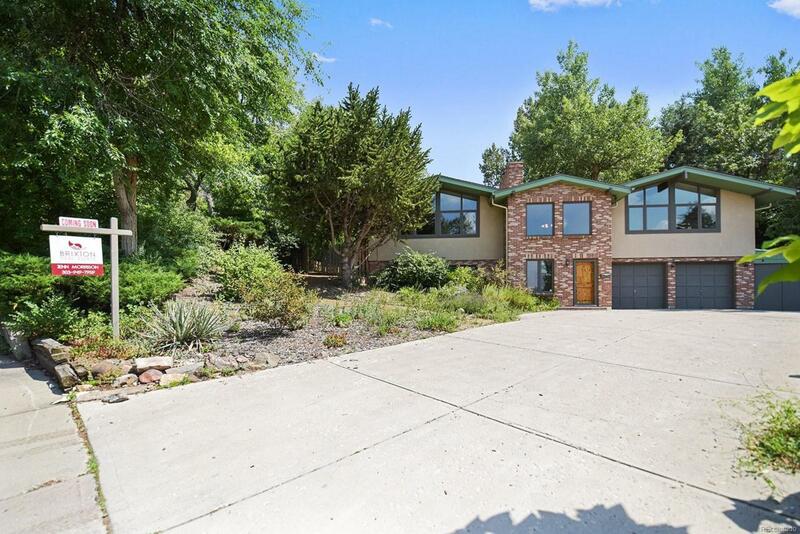 Expansive home, full of light on a lush lot with huge covered deck! Amazing location close to shopping, restaurants, and more! Easy access to mountains and downtown Denver. On top of a great location, the home has oversized, custom windows that show multiple mountain views and bring in tons of light to the sleek interior with large, beautiful beams on every floor. The open floor plan has two family rooms and fireplaces. Large master bedroom has en suite bath and another set of huge windows with mountain views. Three bedrooms with an additional heated office, yoga or art studio in the back. Garage also has a full car size additional workshop that is heated and insulated, and driveway with ample parking for 4+ cars. A great combination of indoor an outdoor space in Applewood! Offered by Brixton Real Estate.